Lawyers specialising in E-Commerce Law understand that every era of business yields new strategies and new ways of doing business. The internet has so radically changed business that the rules for corporate strategy have evolved dramatically in the last ten years. E-commerce involves many areas of law which regulate online commercial activity. Lawyers specialising in E-Commerce Law generally provide a full range of e-commerce law services to help you comply with the various internet and data protection regulations, as well as ensuring your rights are protected online. If you need legal help regarding any aspect of e-commerce law, then please complete your free legal enquiry form on the left, or click here. E-commerce lawyers are at the forefront of this rapidly transforming sector and can help you develop your online business strategy and successfully navigate you through the minefield of e-commerce regulations related to trading goods and services on the web. From helping you understand website design issues and drawing up on-line trading terms and conditions to advising on website hosting and maintenance contracts and undertaking audits, E-commerce lawyers will give you proactive, commercial and cost effective advice at every stage of your business lifecycle. E-commerce lawyers understand the potential pitfalls of trading on-line and keep up-to-date with technological innovations as well as the legal aspects of e-commerce regulation compliance, e-marketing and use of personal data and can help ensure your business maximises its potential in the e-commerce arena. Enacting the Commonwealth Electronic Transactions Act 1999 was a major step towards supporting and encouraging the development of electronic commerce in Australia. It contains rules applying to the interpretation of other legislation. Basically, it states that a transaction under a law of the Commonwealth will not be invalid simply because it was conducted by the use of electronic communications. • Recording or retaining information. (1) Before 1 July 2001 it only applied to those laws of the Commonwealth that were specified in the Electronic Transactions Regulations 2000. (2) On or after 1 July 2001 it applied to all laws of the Commonwealth unless they were specifically exempted from application of the Act by the Electronic Transactions Regulations. The Attorney-General’s decision to exempt a law from the application of the Electronic Transactions Act is made in consultation with other Departments. The decision is based on the commitment to deliver all appropriate services online where possible. Most exemptions can be found in Schedule 1 of the Electronic Transactions Regulations. The Australian Government consulted with the States and Territories, to develop uniform legislation that removes legal obstacles to the development of electronic commerce throughout Australia. This was done through the Standing Committee of Attorneys-General in the form of a model uniform Electronic Transactions Bill 2000. The uniform Bill was closely modelled on the Commonwealth's Electronic Transactions Act and mirrors the substantive provisions of the Commonwealth's Act. On 3 April 2000 the Attorney-General announced that all jurisdictions had endorsed the uniform Bill. Each State and Territory now has its own Electronics Transactions Act. They generally mirror the Commonwealth Electronic Transactions Act with occasional small differences in definitions and some additional sections. Consumer protection laws apply equally to online and offline environments. The Commonwealth’s Trade Practices Act 1974 and the Australian Security and Investment Commission Act 2001 apply regardless of whether a transaction is conducted through electronic or conventional means. The Commonwealth’s Privacy Act 1988 regulates the collection and handling of personal information by Commonwealth government agencies, large private sector organisations as well as health care services providers and organisations that trade in personal information. The Privacy Act is technology neutral and applies to personal information comprised in electronic records as well as other mediums. The Cybercrime Act 2001 created a number of investigation powers and criminal offences designed to protect the security, reliability, and integrity of computer data and electronic communications in the Criminal Code Act 1995. This outlaws activities such as unauthorised access to restricted data (hacking) and spreading computer viruses. Lawyers practising in the area of e-commerce law can advise on all legal aspects of running a business online - from drafting terms and conditions of use to privacy policies, website design, hosting, licensing agreements and privacy policies. Lawyers practising in the area of e-commerce law can advise internet businesses across a wide range of fields including retail, gaming, online publications, dating and social networking websites, business services and rental accommodation. Our clients appreciate the one-stop-shop we offer for internet businesses advising on brand protection and intellectual property (trademarks, domain names and copyright), commercial considerations (such as page ranking and search engine optimisation), regulations (distance selling regulations, consumer protection), data protection and contract law. Lawyers practising in the area of e-commerce law can also assist businesses and charities with their IT and telecommunications outsourcing requirements. In addition, Lawyers practising in the area of e-commerce law draft and prepare standard documents for numerous software and IT businesses. Lawyers practising in the area of e-commerce law generally act for businesses, companies, software designers and individuals on a wide range of transactions relating to IT services and software. Lawyers practising in the area of e-commerce law usually tailor their advice to take account their client's business environment as well as the technical changes and challenges of ecommerce and IT. An Act to amend the Copyright Act 1968, and for related purposes. An Act to facilitate electronic transactions, and for other purposes. Text of the Bill and Exlanatory Memorandum. An Act about spam, and for related purposes. This Regulation is made under the Electronic Transactions Act 2000, including sections 7, 12 and 15 (the general regulation-making power) and the definition of court in section 14A (1). An Act to facilitate electronic transactions; and for other purposes. An Act to facilitate electronic transactions and for other purposes. The main purposes of this Act are:(a) to amend the Transfer of Land Act 1958 (i) to provide for the lodgement and registration of electronic instruments; and to empower the Registrar to require verification of identity before registering an instrument under that Act. Australian Government: Attorney-General's Department Achieving a Just and Secure .. Australia's legal framework on electronic commerce ..
Electronic commerce expert groups report - Attorney -General's ..
Jump to ‎: UNCITRAL MODEL LAW ON ELECTRONIC COMMERCE. PART ONE. ELECTRONIC ..
Australian e -commerce review - UN Convention on Electronic ..
Australian Government: Attorney-General's Department Achieving a Just .. Australian e-commerce review - UN Convention on Electronic Communications .. Contracts · United Nations Commission on International Trade Law ..
Jump to ‎: Electronic Transactions Act 1999 .. Attorney-General's Dept. .. a legal framework for e-commerce in Hong Kong (R. Wu) ..
Australian Treasury Review E -commerce Best Practice Model ..
Rich Text Format - It will suggest that best practice is to keep lawyers out of E-commerce disputes, .. The public have a vague feeling that something is wrong with the legal system, ..
Attorney-General's Department (Commonwealth), Australia's legal framework on electronic commerce, departmental website, 26 November .. The Digital Economy section gives legal and policy advice to the Attorney-General and Australian Government on a range of electronic commerce issues. Act 1968, no part may be reproduced by any process without prior written permission from the .. Attorney-General's Department. Robert Garran .. consumer confidence in electronic commerce by providing guidance to businesses on how to .. The Electronic Transactions Bill 1999 aims to remove any existing legal .. Electronic commerce (e-commerce) is a broad concept that has been used to cover any .. Following this undertaking, the Attorney-General appointed an Electronic ..
Australian Government: Attorney-General's Department Achieving a Just .. Responsibility for e-commerce and the Electronic Transactions Act ..
Attorney General's Department - 7 May 2010 - Electronic ..
-General, Robert McClelland, today welcomed agreement .. The Bill will strengthen Australia's electronic commerce laws in relation to: .. Provides free legal information on power of attorney; wills & estates; IT & e-commerce; patents & trademarks and superannuation & trusts. They also provide ..
Chris Connolly, LLB is a Director of Galexia, a specialist consulting firm undertaking internet law, privacy and electronic commerce projects. He is also a lawyer ..
5. Time and place of dispatch and receipt - Attorney-General's ..
- Officials of the Australian Government Attorney-General's Department developed .... modernise Australia's law on e-commerce so that it reflects internationally ..
Australian Government: Attorney-General's Department Achieving a Just .. Australia's legal framework on electronic commerce · Frequently ..
Australian Government: Attorney-General's Department Achieving a Just and .. In relation to e-commerce, the Branch provides legal and policy ..
policy; Crime Prevention and Enforcement; Defamation Law; E-commerce .. Attorney-General's Information Service is produced by the Lionel .. The Australian Government Attorney-General's Department works .. legal services, e-commerce, transparency and the general drafting of these .. The purpose of this paper is to alert law enforcement policy developers to emerging .. generation fraud—technology, e-commerce and identity. The type of ..
Commercial notes. Australian Government Solicitor the leading lawyers to government .. Model Law on Electronic Commerce (the Model Law) as developed by .. The report suggests the Attorney-General should also commission a comprehensive review of the legal implications of electronic commerce ..
5. Finance and electronic commerce - Australian Law Reform .. This is being addressed by the Attorney-General's Department's work on electronic commerce law reform which the Commission recommends ..
Australian Law Reform Commission .. and social service professionals; academics and practising lawyers with expertise in privacy, health law and e-commerce; ..
Biggs & Biggs, Lawyers * Legal advice and services on privacy issues, .. privacy law and practice, electronic commerce and publishing .. Skip to content Find legal answers - Legal Information Access Centre (LIAC) .. Online; In your public library; Lawyers' Tools ... law, finance and bankruptcy law, banking and insurance, white-collar crime, electronic commerce. Arbitration and Conciliation, Administrative Law, Construction Law and Real Estate Development, Contract Law, E- commerce and Information Technology Law, ..
ELECTRONIC GOVERNMENT: LEGAL, POLICY, PRIVACY AND ..
'The Attorney-General has consistently stated that the legal issues raised by e-commerce are not so novel that an entirely new body of law is required to deal .. Litigation, Securities, Information Technology, Intellectual Property, E-commerce. .. The Duty Lawyer Scheme is jointly administered by the Hong Kong Law .. If you decide to engage in e-commerce or online fundraising, it is important to pay .. You may wish to minimise your legal risks by consulting with a lawyer before ..
Australian Government: Attorney-General's Department Achieving a Just .. Copyright is a type of legal protection for people who express ideas ..
Electronic Commerce: Building the Legal Framework — Report of the Electronic Commerce Expert Group to the. Attorney-General, 31 March 1998. Evaluation of ..
-General's Department Robert Garran Offices .. I am pleased to release The Australian Guidelines for Electronic Commerce. Electronic commerce is .. disputes; and. 10.11 the law and forum for the resolution of contractual disputes.1 ..
Aid Queensland cannot give legal advice about this type of law. We cannot provide .. The laws about incorporation can be difficult and you should get advice from a private lawyer. .. Internet and e-commerce related law .. Accessibility of electronic commerce and new service and ..
Jump to ‎: The Attorney noted that under the proposed amendments. existing .. The House of Representatives Legal and .. The Law Handbook: Your Practical Guide to the Law in New South Wales .. of the peace, notice to attend court, passports, and powers of attorney. .. defamation on the internet, e-commerce, internet content regulation and ..
ELECTRONIC TRANSACTIONS (QUEENSLAND) BILL 2001—Expl ..
Also the Queensland Law. Society Inc, Bar Association of Queensland, Queensland Council for Civil. Liberties, legal academics and e-commerce lawyers have ..
-commerce issues (including UNCITRAL and FTAs) - Electronic Transactions Act 1999 - Circuit Layouts Act 1989 - Public lending right ..
Jump to ‎: However, e-commerce can be defined as business or commercial transactions occurring over open networks, ..
Services Commission of South Australia. LSCSA · Handbook · About Us · Site Map · Careers · Contact Us · Law Handbook Home; Chapters A-F ..
Australian Government: Attorney-General's Department Achieving a .. and conciliation; transport law; electronic commerce; insolvency law; and .. Disability Strategic Plan Disability Strategic Plan - LawLink NSW ..
As the first legal officer of the state it is the obligation of the Attorney .... The Attorney General's Division's internet, intranet and e-commerce ..
1999 THE PARLIAMENT OF THE COMMONWEALTH OF .. The Expert Group was established by the Attorney-General to consider the legal issues raised by electronic commerce and the appropriate form of regulation, ..
abduction, 17, 31, 32, 40, 46, 49 Aboriginal Justice Advisory .. Administrative Decisions (Judicial Review) Act 1977, .. E. X. Attorney-General, 12, 13, 18, 42, 53, 69, 93, 129,. 140, 146 decisions, 52, 59– .... e-commerce, 61 ..
Michael Fraser, Communications Law Centre, Sydney. Ben Strong .. E-commerce – shopping online. 856. Internet .... should obtain advice from a lawyer. - This paper is, by necessity, a brief summary of the laws in these areas and is limited to e-commerce issues concerning consumers with the focus on remedies ..
SuperStream contributions message implementation guide - for ..
July 2013: Data standards and use of e-commerce becomes .. and development process, proposed law changes and key elements of the ..
2011 marks major changes in Australia's consumer policy and legal environment. .. compliance professionals, business people, lawyers, consumer advisers and .. policy and economics and the challenges of e-commerce and m-commerce .. The Attorney-General's Department serves the people of Australia by .. support for the Australian Attorney-General in his role as First Law Officer. ... Trade in international negotiations on intellectual property and e-commerce. Issues Paper: Accessibility of electronic commerce and other new .. The reference states that the term electronic commerce is to be interpreted broadly ... These include law reform initiatives by the Attorney-General and program ..
Model Law The Model Law on Electronic Commerce 1996 .. Contracts 2005 (the Convention) by the Standing Committee of Attorneys-General. - by A Gatt - As e-commerce expands globally the Internet is fast becoming an important .... the current legal framework would require each e-business to engage a lawyer in ..
Who to contact - By legal services - Commercial and Corporate ..
AGS - Australian Government Solicitor .. By lawyer's name .. technology; intellectual property, science and technology, internet law, e-commerce, e-government ..
Jump to ‎: On 10 November 2008, the Attorney-General, .. 1996 Model Law on Electronic Commerce. People under 22 can e-mail legal questions and find out where to get advice and help. .. your complaints about discrimination, goods or services, pollution, lawyers, .... Oz Net Law provides legal information about internet and e-commerce .. In June 2011 the ATO Data standards and e-commerce project .. They are intended to provide enabling context and legal certainty to the draft ..
- An important part of the strategy for achieving this objective is the development of a light-touch legal and regulatory framework for electronic commerce to help ..
Management and use of Government information > Next: Legal services ... in Part VIIC of the Crimes Act 1914 (Cth) and providing advice to the Attorney-General in relation to ... on International Trade Law Model Law on Electronic Commerce. Australian Government: Attorney-General's Department Achieving a Just and .. e-commerce · Emergency Management (www.ema.gov.au) .. THE RECEIPT OF EVIDENCE BY QUEENSLAND COURTS ..
original form. See Electronic Commerce Expert Group, Electronic Commerce: Building the Legal. 11. Framework. (Report to the Cth Attorney-General, 31 March ..
EXPLANATORY MEMORANDUM AND CLAUSE NOTES ..
Commission on International Trade Law (UNCITRAL) Model Law on Electronic Commerce. In. 2009, the Standing Committee of Attorneys General agreed to the ..
Australia's system of law and justice and to provide advice on a range of .... and Trade in international negotiations on intellectual property and e-commerce. The Institute was established under Part XIVA of the Family Law Act 1975 (Cth). The functions of the .. of laws, and - to make reports to the Attorney-General. .. electronic commerce policy and consumer protection; industry .. Proposed Activity Field Content Name of Division/Office Digital ..
- The Bill strengthens Australia's electronic commerce laws in relation to: .. Acts were approved by the Standing Committee of Attorneys-General (SCAG). 5 legal considerations for starting an online business | Digital ..
As such, there are certain legal requirements that you will need to abide by. .. Before embarking into the world of e-commerce, it is important to .. is a principal at Warren McKeon Dickson Lawyers in both the Corporate and ..
Jump to ‎: DO I CONTACT IN THE COPYRIGHT LAW BRANCH? .. Implementation of Digital Agenda amendments and three year review; E-commerce issues; CLRC .. E. OTHER ISSUES: ..
Australian Law (Texts of legislation; Court decisions and major legal organisations) Canadian Law .. Business Law (including Consumer Law; Corporate Law; E-commerce) Civil and Human .. Attorneys-General (federal & state) · Index to ..
Patenting of Business Systems Comment by John Swinson, Partner ..
'Electronic Commerce and Business Method. Patents' delivered at the Computer Law Association. Conference, 23 February 2001, Sydney, and published by the ..
Jump to ‎: E-commerce issues - Circuit Layouts Act - Electronic Transactions Act Contact: Kirsti Haipola, tel: ..
Review of the Business Names Act 1962 .. 1.2.2 Display of business names and e-commerce. .... 5.3.2 'Carrying on business' and e-commerce. .... Sistrom Lawyers argued that a trader has the opportunity to develop goodwill in a name prior .. In progressing work in Output 1.4, the Attorney-General's .. The Department's input focused on copyright law, e-commerce and legal services, ..
Australian Government: Attorney-General's Department Achieving a Just and .. Law and work of UNCITRAL; Release of electronic commerce ..
Regulators will need to "get inside'' the electronic commerce industry if they are .. according to one of the nation's most experienced law enforcers, Bill Coad. .. Attorney General in 1989, building on his skills as the deputy chairman of the then ..
ATTORNEY–GENERAL'S DEPARTMENT ANNUAL REPORT 2005–06. 12 .. Legal aid. ■. Legal services. ■. Indigenous law and justice. ■. Legislative drafting. ■. Classification. ■. Copyright. ■. Privacy. ■. Bankruptcy. ■. E-commerce. ■ .. E. R. V. IE. W. Portfolio structure. The Attorney-General's Department is the .. The common law has always recognized a man's house as his castle, ... all Australian E-commerce traders, since customers will assume the worst once they learn of .. no longer the exclusive preserve of lawmakers, lawyers and the courts. Rules for selling goods and services online : Department of Justice ..
Internet shopping or e-commerce has the potential to expand your .. returns policy, which must adhere to the same laws as shop-bought goods .. The State of Queensland (Department of Justice and Attorney-General) 2012. Community legal centre and services. .. We have a duty lawyer service which includes some representation and follow up for the restraining order lists at the Fremantle Registry of the .. E fclc@fremantle.wa.gov.au .. Department of commerce ..
E-commerce. • Emergency management. • Family law. • Freedom of information. • Human rights. • Identity security. • Indigenous law and justice. • International ..
Jump to ‎: Circuit Layouts Act .. E-commerce issues .. matters in the office of the Attorney-General, ..
Rich Text Format - Portfolio responsibility Attorney-General .. modernise Australia's law on e-commerce so that it reflects internationally recognised legal standards; and; enhance ..
Papers by AGS lawyers .. The Electronic Transactions Act 1999 .. business and consumer confidence in the use of electronic commerce'.1 ..
authority on electronic commerce law and technological and governance .... system was unique, partly because of the central role of lawyers, who were so ..
A speech by ASIC Chairman, Tony D'Aloisio, Supreme Court of Victoria Law .. Securities and Investments Commission to the Australian Corporate Lawyers .... an address about the regulatory challenges of e-commerce and an update on ..
Regulatory controls may restrict e-commerce and other laws but might also assist .... the Attorney-General's Expert Group on Electronic Commerce presented a ..
Just select an area of law and enter your details. You are then put in touch with a selection of prequalified, quality law firms and lawyers matched to your ..
Group and the Model Law on Electronic Commerce developed by the United ... Internet, as displayed on sites such as the Attorney-General's Australian Law .. The Globalisation of the Consumer - How the Law is Responding By .. This paper is, by necessity, a brief summary of the laws in these areas and is limited to e-commerce issues concerning consumers with the focus on remedies under .... York State Attorney General's Office and ultimately $111000 was paid to .. The new law also empowers all 50 state attorneys general to seek ... years, there is still a wealth of opportunities for Australian e-commerce. Business Law Branch, Civil Law Division, Attorney-General's .... commerce by incorporating flexibility into the methods of electronic ..
15/05/11, Lawyers make a song and dance of Law Week [ Small PDF icon ... to be connected to the Tribunal's audio-visual system to display electronic .... After studying law and commerce at the University of Tasmania, Mr Schyvens was ..
Electronic commerce. It is recommended that the Attorney-General should commission a comprehensive review of the legal implications of electronic commerce, .. There are many ways to set up an eCommerce site. Step-by-Step Guides .. Make sure your website and business meets its legal and other obligations. 7. Test the website. 8. Promote .... Attorney-General's Department. Central Office, National ..
Rachel Chua is a Senior Lawyer practising in the areas of intellectual property, ... and also on a number of international electronic commerce transactions. This publication marks ten years since the Disability Discrimination Act (DDA) ... BCA employs a solicitor whose primary brief is to support complainants in .... conducted a public inquiry on accessibility of electronic commerce and other new ..
Jump to ‎: Contact: Mr Chris Creswell, tel: (02) 6250 6318; e-mail: chris.creswell@ag.gov.au .. The Norfolk Island Attorney General also attended the meeting as an ... Convention will modernise Australia's laws on electronic commerce to ..
Searchable Networked Intellectual Property Electronic Resource ... forces attorneys to be more accountable to clients – new kind of IP analytics service -- .... Summary: Australian laws that apply to electronic commerce to .. The last edition of e-News caused difficulties for some readers with .. The Working Group for Legal Experts on the Protection of ... Implementation of Digital Agenda amendments and three year review; E-commerce issues ..
Garry Grant explains Customs electronic commerce initiatives at the forefront of moves to .. (See Australia developing uniform e-commerce laws) ... the Attorney-General, Daryl Williams, said the proposed laws would allow electronic to be ..
the resolve to resolve — embracing adr to improve access to justice ..
Attorney-General on the development of alternative dispute resolution (ADR) and .. BARTON ACT 2600. Phone. (02) 6141 3222. Fax. (02) 6141 3248. E-mail .... particular, law, business, commerce, psychology, education, health and social .. Page 1 of 3 Electronic Transactions Amendment Bill 2010 - 21/09 ..
also encourage the growth of electronic commerce, such as online retailing. .. transactions regime is the 1996 Model Law on Electronic Commerce, .. In 2008, the Standing Committee of Attorneys-General agreed to the .. He has specialised principally in the areas of constitutional law, administrative law, ... and the text of the e-commerce chapter is available at: .. The simplification task force was comprised of three lawyers and a linguist, ... The Act deals with only one of the Policy Papers - Paper No 5 - Electronic Commerce. ... introduction into the legal implications of engaging in electronic commerce. Legalising documents | Smartraveller: The Australian Government's .. The law in most countries requires that a signature on a document be witnessed or .. Solicitors, justices of the peace, and notaries public normally perform these .. chamber of commerce/industry or notarised by an Australian Notary Public. The Australian Consumer Law (ACL) is a major change for Queensland business and consumers. The new law applies to all sectors of the ..
by RG Smith - 1999 - - Attorney. The development of new technologies for purchasing goods and services (such as the Internet and electronic commerce) creates potential for fraud, as do .. that include legislation, law enforcement, education and information and .. Page 1 of 2 Electronic Transactions Amendment Bill 2010 - 23/06 .. In 2008, the Standing Committee of Attorneys-General agreed to the .. electronic commerce and will provide legal certainty on those matters. Services must be supplied in trade or commerce and may include some claims .. Disputes may also include damages for breach of the provisions of the Fair Trading Act 1999 that occurred in trade or commerce. .. Claims against professionals (including doctors, lawyers and real estate .. E-mail: vcat-civil@justice.vic.gov.au ..
(commercial) law. The Queensland Law Society can refer you to a specialist lawyer. ... Internet and e-commerce related law. (OzNetLaw) .. Developments of the criminal law in New South Wales, Australia ..
2nd International Conference of the Australian-Italian Lawyers Association. Sponsored by. the Italian-Australian Chamber of Commerce ... I believe that increasingly, ready electronic access to the laws of other countries will make it very much ..
1 December 2011, Address to the University of NSW Law 40th Anniversary Conference .. 9 September 2011, Address to the Australia-Israel Chamber of Commerce .. 24 August 2003, The "Most Wrong" Equity Cases 1990 – 2003: Attorney General V .. An Australian Perspective On Documentary And Electronic Evidence .. In accordance with subsection 63(1) of the Public Service Act 1999, .... in international negotiations on intellectual property and e-commerce. Jump to ‎: -E-commerce issues .. -Circuit Layouts Act .. matters in the office of the Attorney-General, .. The survey results were released today at ASIC's one day e-commerce conference .. The site should have full and prominent disclosure of the legal entity ... Office of New York State Attorney General Eliot Spitzer, "From Wall Street to Web .. Annual Report 2004-05 Part 1 Overviews - Attorney-General's ..
One of the program's aims is to help PNG's law and justice sector to fight .... and information law, privacy, bankruptcy, e-commerce, native title, ..
Inquiry into Research Training and Research Workforce Issues in ..
Law, E Commerce, Open Access and e-Research/Cyberinfrastructure. .. lawyer who has pioneered the teaching of Internet/Cyber Law in Australia. He ..
Jump to ‎: .. Branch of the Attorney-General's Department. .. Amendments Review; E-commerce issues .. Speech: Privacy law reform – getting the balance right; Office of the ..
Timothy Pilgrim presentation to Communications and Media Law Association, .. The phenomenal growth of the internet, e-commerce and the ..
ii) Increased use of electronic funds transfer as the preferred method of paying .. would in effect be 82.7% should payments to Department of Commerce not ... Environmental Law Standing Committee, Law Association for Asia and the Pacific ..
commerce and on ADR research. Council .. also continue its examination of ADR in e-commerce (a ... Manager Civil Justice and Legal Services, Attorney-Gen- .. Annual Report 2003-04 Readers Guide - Attorney-General's .. This is the Secretary's report to the Attorney-General and the Minister ... and information law, privacy, bankruptcy, e-commerce, native title, and ..
AGS - Australian Government Solicitor .. Papers by AGS lawyers .. Model Law on Electronic Commerce (the Model Law) as developed by the ..
Singapore-Australia Free Trade Agreement business guide ..
Chapter 9: Electronic commerce. Key outcomes on; E-commerce .... for Australian law firms and lawyers in relation to the practice of Australian law, third country ..
to provide dependable and secure e-commerce transactions. Authentication and .. Electronic transactions may carry substantial legal and financial liabilities if one of the parties is not who they .. Law Division. Attorney-General's Department ..
Jump to ‎: Circuit Layouts Act; Australian Government .. Agenda Amendments Review; E-commerce issues; CLRC .. She can be contacted on 6250 6655, e-mail: helen.daniels@ag.gov.au ..
law and justice and its national security and emergency .. Attorney-General and the Minister for Justice .. on privacy and electronic commerce issues ..
agreement to restore constitutional certainty to the Corporations Law by referring .... Keep pace with e-commerce innovations in financial services. • Implement ..
E crime: a global challenge for law enforcement - Australian Federal .. The National Office of Information Economy predicts that e-commerce initiatives .... (WGUCI 2000), US Attorney-General Janet Reno's 10-step Law Net strategy ..
Jump to ‎: Nelson de Sousa, Legal Officer of the CLRC .. Amendments Review; E-commerce issues; CLRC .. This proposed change is not law as it has not been passed by parliament or ... for the implementation of the data and e-commerce standards: .. The rapid development of the Internet and electronic commerce requires the rapid ... After the conference, a forum of judges, leading criminal lawyers and legal ..
Rich Text Format - Are law students and lawyers studying the legal and ethical responsibilities of ... level of electronic documents being generated in modern commerce and the .. The Solicitor-General is a separate, independent source of legal advice to the .. from mining and native title, to electronic commerce, to the railway and other .. The legal and practical impediments to undertaking coordination reforms are significant. .... is being considered by the Standing Committee of Attorneys-General; ... to business law including consumer protection in electronic commerce ..
- Review of developments in international trade law by the Attorney-General's .... 3 and 4 on Arbitration, Transport and Electronic Commerce respectively. Australian state and territory privacy laws · New South Wales · Victoria .. Electronic Commerce Steering Group · Asia Pacific Privacy Authorities ..
China Embraces the World Market - Case Studies - East Asia .. Address by Bill O'Shea, Partner, Hunt & Hunt Lawyers .. Rather, I am a partner in a law firm advising clients on doing business in China. .. E-commerce in China is still hampered by the lack of access to the internet for ..
Rich Text Format - This study has been undertaken in parallel with a study of the legal issues related to electronic commerce by the Attorney General's Expert Group on Electronic .. I also report under Section 8a of the Companies (Administration) Act 1982 .... OCBA is a division of the Attorney-General's Department, headed by the .... presented two papers, namely 'E-Commerce Initiatives' and 'Legislative Reform - South .. The Attorney-General has invited public submissions .. The cooperation of State and Territory law en- forcement is an ... E-commerce issues ..
requirements in that Act. We will also expect issuers and other intermediaries to adhere to the best practice model for e-commerce developed by the government .. Banner - Department of Justice and Attorney General .. As required by Part 2, section 12(2) of the State Records Act, 1998 ("the .... This includes all forms of electronic service delivery and electronic commerce, the sending ..
Jump to ‎: Samantha Schrader Senior Lawyer ... intellectual property law with an emphasis on licensing, e-commerce and .. Please note as of June 2009, section 33(3) of the PPIP Act was .. Privacy Commissioner to the Government Lawyers CLE Convention, 9 September 2003. ... Paper Building Consumer Sovereignty in Electronic Commerce: A ..
Australian Government E-security Review; Submission to the ..
Review; Submission to the Attorney-General's Department (August 2008) ... The Privacy Act as a regulatory foundation for e-security .... the work being progressed by the Electronic Commerce Steering Group (ECSG) of the ..
Justice KM Hayne, AC at the Centre for Commercial Law .. Even if commercial law is regarded as essentially private, is there .. Sir Peter Millett, now Lord Millett, identified6 three reasons for concluding that "[e]quity's place in the law of commerce, long resisted by commercial lawyers, ..
Before joining the NTC he worked at VicRoads as a lawyer and road safety legal policy manager. Keith has a Bachelor of Commerce and ..
Progress update on reference: access to electronic commerce and .. The Attorney-General has asked the Human Rights and Equal Opportunity .. of new technologies in electronic commerce and the provision of government and .. economic barriers to access to some technologies; legal impediments which ..
1995-1997, Consultant to the Victorian Parliamentary Law Reform Committee for its .. 1981-1985, Solicitor, HSW Lawson Hughes & Co, Melbourne ... Inquiry into fraud and electronic commerce, final report, (Consultants: .. Annual Report 2006-07 Part 1 - Overview - Attorney-General's ..
From 1 July 2007, the renamed Classification, Legal Services and .... well as to parliamentary privilege, defamation and electronic commerce. Australian Government Attorneys General's Department - Issue 40 ..
Australian Law Online .. This e-news provides an update on the progress of implementation of .. The Attorney-General's media release of 4 September 2006 ... E-commerce issues; CLRC Report on Copyright and Contract ..
- by S Mark - - As such, there is increasing pressure on lawyers in Australia to treat legal ... the reinforcement of the ideas of fairness and equity in business and commerce, and .. all ailments"—or in the Muslim tradition, Shajar-e-Mubarak—"the blessed tree. Jump to ‎: Copyright Law Review Committee Secretariat .. She can be contacted on 6250 6313, e-mail: ..
Strategic priority 5 | Department of Broadband, Communications and ..
framework for electronic commerce - the Commonwealth's draft .. Attorney-General's Department is leading work on achieving cross ..
Jump to ‎: E-commerce issues .. Circuit Layouts Act .. matters in the office of the Attorney-General, Mr Daryl .. Versions of this paper have appeared in the Law Society Journal, June 2002, Vol .. Paper Building Consumer Sovereignty in Electronic Commerce: A best .. In 2002-03, Privacy NSW provided advice to the Attorney General's ..
6 days ago – Over time, this site with act as a single source of information on an individual's .... What happens to existing investments in e-commerce? .... Copyright Administration, Copyright Law Branch, Attorney-General's Department, ..
E-Corruption: Exploiting emerging technology corruptly in the NSW ..
—Those charged with the responsibility of managing law enforcement enterprises .... functions, use of the intranet/internet, e-commerce and e-procurement are examples .... and the Commonwealth Attorney General's Office of Strategic Crime .. Enduring Power Of Attorney (Powers of Attorney and Agency Act 1984),. Enduring Power of Guardianship (Guardianship and Administration Act 1993),. Medical ..
Privacy and Data Protection Law Reform: Some Relevant Issues by ... Attorney General foreshadowing the introduction of 'Australia's most .. Canadian Task Force on Electronic Commerce, The Protection of Personal Information: 7. Building ..
Our team consists of lawyers with computer science and information .. client needs; e-government and electronic commerce initiatives, e-security, legal risk ..
- Action Group into the Law Enforcement Implications of E-commerce ... teams include accountants, lawyers, intelligence analysts and other professionals. Jump to ‎: Where: Available from the Legal Information Access Centre, .. the National Privacy Principles, e-commerce, employment, ..
response. The present law and regulatory structure in Australia however, does not yet fully .. delaying their entry to electronic commerce generally and to the Internet .... lawyers and the general public with better access to ASIC information. It ..
Jump to ‎: Contact: Chris Creswell, tel: (02) 6250 6312; e-mail: chris.creswell@ag.gov.au ..
Victorian Government Solicitor's Office | VGSO .. Explores how the Trade Practices Act applies (or doesn't apply) to state government departments or statutory ..
International approaches to audiovisual content regulation— A ..
- These include content classification schemes, and programming laws that limit the times at which .... such as the Data Protection Directive (Directive 95/96), the E-Commerce Directive (2000/31/EC) .... Attorney-General's Department ..
occupations represented by the Law Council include Solicitors, Barristers and .... (e) 30% of the younger lawyers surveyed (aged 20-29 years) indicated they only ... courses within a non-law degree (eg Business Law as part of a Commerce ..
Privacy Act 1988 .. electronic commerce and the information economy for Australian business and. Australian consumers." Attorney-General Daryl Williams ..
Government Announces Appointment of New CAMAC Convenor [21 ..
Minister for Financial Services, Superannuation and Corporate Law .. Ms Rees has worked as both a barrister and solicitor specialising in commercial .. of the E-commerce Committee of the Business Law Section of the Law ..
Privacy: Australia, cookies and general articles - Archive ..
General's Department; Australia launches workplace Internet .. by Karen Dearne Western Australia E-Commerce News 1 March 2001 ... E-government Minister backs privacy law review, By Iain Ferguson, ZDNet ..
Submission on Proposed changes to the family law system (January 2005) .. has provided of its own motion the following comments to the Attorney-General in .. Affairs Division in conjunction with the Expert Group on Electronic Commerce ..
2 AUSTRAC, Contributions to Electronic Commerce: what law ... Attorney-Generals' Departments or equivalent; Directors of Public ..
procedure set out in the NSW Industrial Relations Act 1996, Annual Holidays Act 1944 .. accountant or lawyer may be able to provide assistance and advice. .... Completed weeks: Divide your answer at C by 12. E. Entitlement to annual .. with the Office of Industrial Relations, Department of Commerce or take other legal ..
by GST Goods - 2010Where an issue in this issue register simply sets out the way the law .. specific to the electronic commerce industry on which the Australian ..
REPORT OI-' HJAUGLTLAL JOINT MEETING OF THE WORKING ..
Attorney'-General said that the signing of the Memorandum of Understanding on .. e. Prot-"ide a mechanism for reporting on legal cooperation matters and activities ... exchange ot"~v~1ew on implementation of l'P aspects of e-commerce, ..
ii) Increased use of electronic funds transfer as the preferred method of paying creditors. .. would in effect be 82.7% should payments to Department of Commerce not have been delayed due ... Law Society Government Solicitors Committee ..
(f) facilitate the growth and development of electronic commerce, nationally and .. Attorney-General's Department noted that the Electronic Transactions Act .. Foundations of Governance - Constitutional, legal and Government .. The Constitutional Policy Unit of the Attorney-General's Department provides .. and international trade and commerce, taxation, immigration and social security. ... The Federal Register of Legislative Instruments is an electronic database, ..
page on the Department of Justice and Attorney-General website. .. where a law enforcement agency may exercise a warrant to inspect .. According to the Privacy Act 1988, personal information means information ... elect to use the Tax Office's internet based e-commerce system ..
company law and corporate governance issues, corporate insolvency, corporate financial reporting and electronic commerce;; the oversight of portfolio .. Treasury has worked closely with the Attorney-General's Department to .. I worked as a paralegal with this powerhouse of commercial lawyers from 1990 to 1992. I was fortunate enough to secure this position while I was a student and ..
in association with the Commonwealth Attorney-General's Department .. also the Corporations Law watchdog, promoting honesty and fairness in securities and futures .. Finally, ASIC has also been a major player in electronic commerce for .. In IP 28 it was suggested 'electronic commerce', 'electronic data transfer' or ... communication', as defined in s 5 of the Electronic Transactions Act 1999 (Cth). ... Commission, Submission E 33, 7 March 2005 NSW Young Lawyers Civil ..
for annual reports for departments, executive agencies and FMA Act bodies .... and Trade in international negotiations on intellectual property and e-commerce. Attorneys-General whether regulation of the use of TI could be delegated to the .. authorities to the law enforcement implications of electronic commerce and it ..
electronic commerce is developing makes it difficult for law – particularly highly .... In his second reading speech, the Attorney-General announced that he will ..
Rich Text Format - 2.1 Economic Implications of Electronic Commerce 6 .. 2.4 Corporate Law Economic Reform Program ¾ Other Elements 12 .... commerce by convening an Electronic Commerce Expert Group under the auspices of the Attorney-General. The term 'joint venture' does not have a settled common law meaning in .... In the current economy, particularly in areas of innovative growth such as e-commerce, there are joint ... Superior Court Trial Lawyers Association (1990) Vol. The Electronic Transactions Act 1999 (Cth) (ETA) states that for the purposes of a law .. on the ETA can be found on the Attorney-General's Department website at: http://www.law.gov.au/publications/ecommerce/Welcome.html .. The Australian Law Reform Commission's landmark report For Your .. Senator John Faulkner, and the Attorney-General, the Hon Robert McClelland MP. .. digital cameras, e-commerce, sophisticated surveillance devices and ..
AUSTRALIA, ATTORNEY GENERAL'S DEPARTMENT, Review of .. "Privacy Protection for Consumer Transactions in Electronic Commerce: Why Self-Reg is .. CANADA, LAW REFORM COMMISSION, Electronic Surveillance .. Welcome particularly to our Minister, the Attorney-General, the .. But in deference to Australia's first law officer and to the seriousness of the issues .. asked us to conduct on access to electronic commerce and related issues, ..
Ibn Battuta, the Tangiers-born lawyer, merchant and geographer of the .. commerce - contract law, electronic commerce, international ..
Members of NADRAC are appointed by the Attorney-General. .... Primary Dispute Resolution in Family Law: A Report to the Attorney-General on Part 5 .... NADRAC E XPENDITURE FOR 1996/97 ... School of Commerce, Flinders University ..
technology and e-commerce, the growing dominance of service industries in the economy, and a 1998 .. which found business systems patentable under US law. .... Attorney-General in Coopers Application, IP Australia's interpretation of ..
(e) To appear in proceedings under the Extradition Act 1988 or the Mutual .. (f) Where the Director, with the consent of the Attorney? ... Industry, Technology and Commerce ACT Department of Social Security ACT Department .. Doing business online / Nadia Santomaggio | National Library of .. Description, Sydney : NSW Young Lawyers, the Law Society of NSW, 1998. 1 v. (various pagings) ; 30 cm. Subjects, Electronic commerce - Australia. | Electronic .. The application of the Act to in-house and government lawyers ....... .. . 16 .. e. in the submission is that the designated services covered by the Financial Action. Task Force .... that the definitio. "a venture or concern in trade or commerce, whe ..
Civility and Professionalism - standard of courtesy and Rule 25 of ..
- At the Opening of Law Term dinner in 2006 Chief Justice Jim Spigelman of the Supreme Court of .... (e) the solicitor's proper standard of work .. England by Deloitte, the liquidators to the Bank of Credit and Commerce International (BCCI) was ..
Australian Government: Attorney-General's Department Achieving a Just .. The Department's input focused on copyright law, e-commerce and .. This Report was prepared for the Attorney General's International Legal Services Advisory .. rapid growth in world trade and commerce means that many legal ..
under the Trade Practices Act when dealing with consumers in the online ... enforceable' by James Flowers, Senior Associate and Theresa Bar, Lawyer, .... The E-commerce Unit obtained data from Hitwise7, an internet statistics company, ..
- In addition to the service types funded by the Attorney-General's Department, .... The Electronic Transactions Act 1999 develops our existing legal framework by .... are regularly received through an email box linked to the e-commerce site. This is being handled separately by the Australian Attorney-General's Department and the New ... law including consumer protection in electronic commerce .. This e-news provides an update on the progress of implementation of the .. The Attorney-General's media release of 4 September 2006 announcing the ... (F) Would the exception impair the adequacy of legal protection or the .. Digital Agenda Amendments Review; E-commerce issues; CLRC Report on ..
by G WAHLERT - - challenge to regulators generally, and law enforcement .. electronic commerce and the empowerment of the individual to ... lawsuit-hungry lawyers." Similarly .. PRODUCTIVITY COMMISSION SUBMISSION GAMBLING INQUIRY .. But the law on its face is limited to states in the U.S. where it is legal to place and .. Internet Gambling is the ideal case study for E-commerce (goods, services, etc.) .... Control Commission, Nevada Gambling Control Board, Nevada Attorney ..
lawyer specialising in federal litigation, including administrative law, employment law, workers .... Policy and Deregulation and the E-Commerce Steering Group. 452757. ATTORNEY-GENERAL'S DEPARTMENT .. International Transactions Committee of the Law. Council of .. electronic commerce as alternative to paper ..
Department of Justice - Policy Coordination - Construction Contracts ..
Scott is an experienced, practical dispute resolution lawyer. ... Industry Payments Agency – Adjudicator J1116024; WA Department of Commerce – Adjudicator 46; NATA Assessor 11777 ... E-mail alderman@ozemail.com.au .. The term e-commerce refers to buying, selling or ordering goods and services on .. by an appropriately experienced lawyer before placing them on the website. Australian Government Attorney-General's Department National ..
Army of Aden (IAA), Lashkar-e Jhangvi (LeJ) and Islamic Movement of Uzbekistan (IMU) as .. Robert Garran Offices, National Circuit, Barton ACT 2600 Telephone (02) 6141 6666 .... Al-Shifa Honey Press for Industry and Commerce ..
Jeff Buckpitt. Senior Government. Solicitor. Customs Legal Unit. Ros Kenway .. electronic commerce and Goods and Services Tax fraud), established to explore ..
Parliament of Australia:Senate:Committees:Finance and Public .. The Australian Law Reform Commission (ALRC) stated that this right 'is ... The NSW Department of Justice and Attorney General stated that clarity ... credit card information for e-commerce purposes), to require the individual ..
- Interaction with Other Laws and Application to State and Territory .... Only submissions provided in electronic formats can be published on the website. .... For example, the Australian Chamber of Commerce and Industry expressed concern ..
and electronic commerce. It also assisted in legal cooperation with other countries. The office will operate within the Attorney-General's Department. Office of ..
Attorney-General's Department Submission to the House of ..
across the Australian Government and is responsible for criminal law and .. electronic identity management is, with e-security, an important element in protecting the .. lives including the delivery of essential services, commerce, banking and .. This e-Brief provides background on the history of sedition as a .. On 2 March 2006, the Attorney-General announced a review of sedition laws would be .... of property of the Commonwealth or of property used in trade or commerce with other ..
Jeremy Gordon 8 Merewether Street Corinda 4075 QLD P.O. Box .. I am an Australian lawyer (also with a UK practice), with a particular interest in .. control of online sales (merchant and e-commerce sites). You will .. have to await a proper review of consumer law as it relates to internet sales. ATTORNEY–GENERAL'S DEPARTMENT ANNUAL REPORT 2005 ..
Bankruptcy. E-commerce. Native title. Prosecution policy. Identity security. Minister for Justice and Customs,. Senator The Hon Chris Ellison. Criminal law and .. The Legal Information Access Centre will be closed from 1 August. ... organisations providing free legal assistance, dealing with lawyers, interpreter .. law, banking and insurance, white-collar crime, electronic commerce. Australian Government Attorneys General's Department - AGD E .. Some of the provisions in the Act commenced on Royal Assent (the new exceptions .. Mr Jon Dudas, Under Secretary of Commerce for Intellectual Property and ..
Access To Justice And Access To Lawyers - Supreme Court ..
First, access to the law, which, in matters of any complexity or .. to sit at home, watch a trial and record a verdict by electronic communication. .... "Commerce and manufactures can seldom flourish long in any state which does ..
- by DK Round - The past decade has seen e-commerce climb from a base of zero to ... cent of 'econsumer law violations' reported in 2003 resulted from goods or services never ..
Commercial Litigation: Tips for Success and Traps for the Unwary: A ..
4 Bewes, in referring to the distinctive elements in the Law Merchant, wrote: .. in its February 2002 report ASIC: Internet and E-Commerce Initiatives .. 13 The Director-General of the Attorney-General's Department has .. This website constitutes the electronic publication of the email newsletter. .. by the Copyright Law Branch of the Attorney-General's Department, and ... Chinese Taipei; Review of the Commerce (Trade Descriptions) Act 1905 ..
Legal issues and business arrangements. The Attorney General's Expert Group on Electronic Commerce has finalised a report on the issues pertaining to ..
Australian qualified lawyers, NZ-admitted lawyers can shortcut the requisite training/study process, .. Mr Graham Boxall, Senior Adviser, Ministry of Commerce, Wellington .. Zealand: see ss 17(1), 19(1), 20(1), 21(3), 22(1) and 28(1)(e). by POF VICTORIA - 2002 - Inquiry into Fraud and Electronic Commerce: Emerging Trends and Best Practice. Responses – Discussion .. Parliamentary Committees Act 1968, as amended. .... lawyers. The original emphasis was on economic crime, although over time ..
Subject: Electronic commerce--law and legislation--Australia. Subject: Carriage .... applicants to discuss process with attorneys and brand advisers. Subject: ..
AGS - Australian Government Solicitor ... E-Mail: andrew.miles@ags.gov.au .. Lawyers are often engaged to act as probity adviser for clients who are conducting .... Commerce and Industrial Relations Group, Department of the Parliamentary ..
CANBERRA ACT 2600. Dear Attorney-General .. Privacy Act, as required by section 97 of the Act. The report covers the period from 1 July 2002 to 30 .... Practice Model when it comes to matters of electronic commerce. – a role for the model ..
ATTORNEY–GENERAL'S DEPARTMENT ANNUAL REPORT 2002 ..
Output 1.2 – Support for the Attorney-General as First Law .... censorship, intellectual property and information law, bankruptcy, e-commerce, native title, national ..
Barton aCt 2600 or posted at http://www.ag.gov.au/cca .. and trusted electronic operating environment that supports australia's national security .... broader online commerce and that a more intensive level of engagement is required between .. 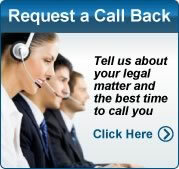 The electronic/telephone transfer of a customer to an assistance service that is not announced ... admitted as a solicitor in NSW is against the law and may result in legal action .... (in the NSW Department of Commerce) provides advice and ..
- Solutions to the problem of identity fraud must take into account the legal .. about the use of personal information collected through electronic commerce. child exploitation and online intellectual property infringement. data interoperability. The ability to share data between different computer systems. e-commerce .. COPYRIGHT LAW REVIEW COMMITTEE: Report of the Committee ..
REPORT. OF THE. Committee Appointed by the Attorney- ... Q.C., M.P., Attorney-General of the .... (e) We shall have occasion in the course of this Report to refer to a number .... Such a transaction, if it is by way of commerce, might, however, ..
Cyber bets and e-bids / presented by Nadia Santomaggio | National ..
Santomaggio, Nadia. and NSW Young Lawyers. Cyber bets and e-bids .. Electronic commerce - Law and legislation - Australia. | Auctions - Australia. Contents Cover Story From the CEO s desK.. - Legal Aid ..
LEGAL Aid Queensland celebrated 25 years of service to ... fPrivate solicitors around our state who taKe on legal .... Grants to move towards an e commerce ..
Platypus - Sep01 - The challenge of the forensic investigation of ..
challenges of the future to Australasian law enforcement. .. the range of e-crime incidents that it responds to and ... it card details from various US e-commerce sites by. Russian .... Nature of Fraud in Australia', Attorney-General's Department. Background of the Singapore-Australia Free Trade Agreement ..
For a limited number of electrical and electronic items, and products subject to .. for Australian law firms and lawyers in relation to the practice of Australian law, .. To promote confidence and trust in bilateral e-commerce, each government will ..
to do anything to refrain from an act, or to tolerate an act or situation, or any .. unrestricted lodgment through the electronic commerce interface (ECI) .... a person who holds an enduring power of attorney to act on behalf of ..
AGS1056 "Guidance Helps Auditors Address E-Commerce Risks"
lawyer with particular expertise in e-commerce issues may be necessary when considering legal and regulatory issues arising from an entity's e-commerce ..
Law derived from custom and judicial precedent (case law) rather than .... E. P. O. R. T 0. 9. 10 index of figures and tables. Figure 1: Attorney-General's Department Mission and Outcomes structure, 2009–10. 5 .... electronic commerce, 73 .. Annual Report 2005-06 Part 1 Overviews - Attorney-General's .. This is the Secretary's report to the Attorney-General and to the Minister for Justice ... passage of the Family Law Amendment (Shared Parental ... and negotiations on privacy and electronic commerce issues and is currently ..
Amplifying the law enforcement voice in telecommunications .. It is vital to electronic commerce for participants to be able to act upon messages, .. At the federal level, the Attorney-General's Department already chairs ..
Electronic Benefit Transfer fraud: The challenge for federal law .. The Electronic Commerce Task Force identified one alternative legislative reform. ... Attorney-General, Agreement on National Laws for Electronic Commerce, ..
4 days ago – A | B | C | D | E | F | G | H | I | J | K | L | M | N | O | P | Q | R | S | T | U | V | W | X | Y | Z | 0-9 | .. 207, Crown Employees (Department of Commerce) Award 2008 .. 232, Crown Employees - Legal Officers (Crown Solicitor's Office, ..
Communiqué — Standing Committee of Attorneys-General 7 May ..
- Implementing the Convention will modernise Australia's laws on electronic commerce to reflect internationally recognised legal standards and increase certainty ..
C:\Documents and Settings\tremblek\Local Settings\Temporary ..
l legal systems, freedom to the people and itallows stable commerce and trade ... of the Nation's Legal Systems Concerning Trade and Commerce 5. I. I. F. 'QI I in. E .... permitting, by law, lawyers, govemments and parties to anticipated and/or ..
by A Customs - 2004You can contact the CISC by telephone on 1300 363 263 or by e-mail at .... Security Law Branch, Attorney-General's Department on telephone +61 2 6250 6666 .. PROMOTING THE RIGHTS OF PEOPLE WITH DISABILITIES .. The law is limited to dealing with discrimination rather than creating positive .... legal services was funded by the federal Attorney-General's ... a public inquiry on accessibility of electronic commerce and new service and ..
Information Asymmetry and the Legal Profession .. were wholly outside the sphere of trade and commerce to which the Sherman Act applied. ... As Joseph E Stiglitz, who shared the 2001 Nobel Prize with Akerlof, said: ..
Kyrou, E '14 years' experience with the Administrative Law Act - success or failure? ... Kendall, A 'Non-lawyers and Administrative law - 2', (1996) 79 .... Caelli, B 'Privacy, cryptography and global e-commerce', (1998) 48 ..
Barrister and Solicitor, Victoria and High Court 1983; Barrister-at-Law: Vic .. Electronic Business Framework Group; Federal Govt. e-commerce Expert Group. Bills Digest 163, 2009-10 - International Arbitration Amendment Bill .. This Digest does not have any official legal status. .. such as international commercial dispute settlement, electronic commerce, insolvency, .. On 21 November 2008, Attorney-General, Robert McClelland announced a major .. However, it is important that clear legal authority for such endorsement exists. ... study from an international lawyers network to 'identify best practice in soft law and .. The use of self-regulation in e-commerce is discussed in more detail below.